At its January Member Meeting, RIMTA gave attendees an overview of the milestones that defined 2017 for the organization and its members. There were successes in many categories, such as securing over $700,000 to support the marine and composites industries, deepening the impact of our training programs, recycling thousands of pounds of shrink wrap, and strengthening partnerships with a long list of organizations—to name only a few. But what do these accomplishments mean for RIMTA members and our industry? We asked RIMTA CEO Wendy Mackie and VP of Strategy Susan Daly to give us some perspective. Our conversation zeroed in on the following areas. 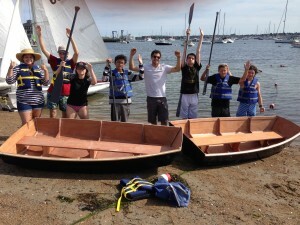 Students enjoy their summer while gaining hands-on skills and learning about marine industry careers. The fact that Baby Boomers are retiring and younger individuals often don’t see hands-on skill as the path to a career is the reality our industry faces. As far as RIMTA is concerned, it is the responsibility of our organization and every member to build the pipeline of workers needed to fuel the marine trades. As Wendy Mackie points out, highly skilled mechanics don’t just materialize, but starting with Middle and High School programs gives us a shot at cultivating young people with aptitude. 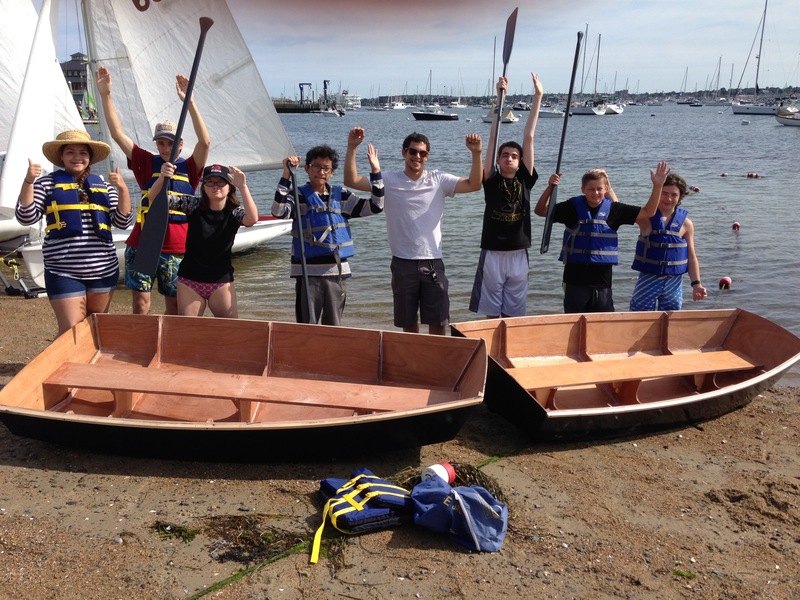 In 2017, programs for that age group included vacation camps, summer work, and after-school programs; new Career & Technical Education (CTE) standards for boat building, composites and marine trades; developing a Mount Hope High School Internship Program; and exposing nearly 400 students and career seekers to RIMTA presentations. Entry-level workers were also trained and placed in jobs via RIMTA’s Pre-Apprenticeship Training Program and the new Superyacht Training Program. Some 75 employees benefited from incumbent worker training, and RIMTA worked with 17 employers to help them secure funding for this training. RIMTA also launched a professional-development series, so members can easily access programs for their own business education. RIMTA’s success in workforce development has led to the organization being tapped to author the first National Workforce Plan for the marine trades, in coordination with NMMA and MRAA. In January, the finishing touches were being put onto a first draft. But the challenge has been more complex than simply applying what RIMTA does on a statewide basis to a national scale. RIMTA is fortunate in that Mackie and VP of Operations Jen Huber came from workforce-development backgrounds. “We both came to the marine industry understanding the system–where the money is, how to secure it, and how to implement programs,” says Mackie. Not every state has an active marine-trades organization with the same skills, and there is no one-size-fits-all solution for every state. As a result, RIMTA has authored a plan with many pathways—from learning how to secure state-level funding and run programs, to giving individual companies ideas on what they can do on their own to develop a workforce. The marine industry is certainly not the only industry in the U.S. facing this crisis. “If we can learn to think and act collectively on workforce development, that gives our industry a serious competitive advantage,” says Mackie. In addition to a successful shrink-wrap recycling program and the state’s Clean Marina Program, there are other environmental initiatives on the horizon. RIMTA is in the process of developing the pilot for a fiberglass boat recycling program and has already consulted with a Rhode Island-based expert to coordinate the effort. Details will be forthcoming, but the intent is to create a pilot with a goal of utilizing 100% of the waste from a fiberglass boat. As Mackie points out, if a successful pilot can be put in place, it can help our industry not only think about the creation phase of a boat, but the end-of-life phase as well. The RIMTA Board voted in a Five-Year Strategic Plan this year, which is already proving to be a strong roadmap for the future. But as Wendy Mackie points out, the details of what is ahead depend largely on what our industry needs. If you are a member of RIMTA, there are many ways to let the organization know about your challenges: come to a member meeting, speak to a member of our staff or our Board, or simply email us. To read the list of RIMTA accomplishments in 2017, click here.